The chancellor proceeded to provide updates on the UC system in general and UC Riverside. White noted that a $100 million cut for the 2011-2012 fiscal year, which was largely absorbed by UCOP, has returned in the 2012-2013 fiscal year’s budget. 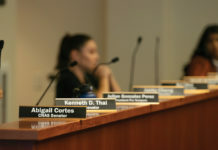 The chancellor made it clear that the UC is working hard to manage the budget shortfalls, citing $15.5 million in campus and organizational reductions and $22.2 million in tuition from over-enrollment of about 2,500 unfunded students (students who pay their tuition and fees but are not funded from the state) in 2011-2012. 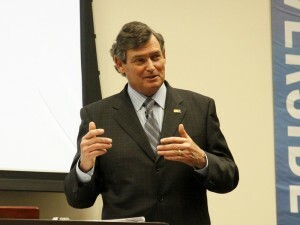 Chancellor White then gave three separate scenarios for UC Riverside’s next three years. For the best case scenario, there would be a $36.7 million budget shortfall for the 2011-2012 fiscal year, $33.8 million for 2012-2013 and $35.5 million for 2013-2014. “Best is a word not in the eyes of our students, but in the eyes of the finance people,” stated the chancellor, who then elaborated that the best case scenario in terms of university revenue entails two separate 5 percent tuition increases. However, this scenario would not only allow for faculty merits and promotions, retirement and staff salary increases, but the UC would be able to balance their budget to a surplus of $1 million in 2011-2012, $6.5 million in 2012-2013 and $5.9 million in 2013-2014. For the medium-case scenario, tuition would raise 5 percent once next year but there would be a deficit of $4.1 million in 2013-2014. Meanwhile, there is no tuition change in the worst-case scenario and campuses would absorb $300 million in reductions if the $200 million trigger cuts are approved in November. While 2011-2012 would see a surplus of $1 million, there would be a deficit of $33.8 million in 2012-2013 and $45.6 million in 2013-2014. Chancellor White switched gears and talked about the degradation of the learning environment on campus for the past three years. 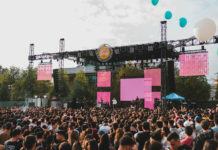 “I must both mention and congratulate…the faculty and staff of the University of California, Riverside because without the really heroic efforts that people have made to do more with less, we would have had a much greater degradation of our learning environment for our students,” stated White, who explained that the issue of degradation was the “largest challenge” to UC campuses. Over the last three years, there has been a reduction of 75 staff (career, limited and contract appointments), yet the expectation of service has remained the same. According to White, this creates pressure points on staff and faculty as they are required to work harder. The pressure put on faculty is further exacerbated when one accounts for the increase in student enrollment by almost 3,000 students since 2008; the subsequent surge in class size has resulted in popular classes such as Physics 20, Chemistry 1A and Biology 5A having gained over 250 additional students (Physics 20 has witnessed a massive increase of 478 students since 2008). Some of the highlighted potential solutions for the learning environment include a more selective admissions process, redesigning majors to have fewer credits and relying more on learning communities/peer counseling for academic credit. The final portion of Chancellor White’s presentation focused on UC Riverside’s goals for 2020. The four main goals were improvements in academic achievement, diversity, access and community engagement. 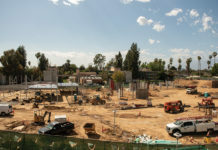 The first of six components of academic achievement focused on extramural funding improvement, which relies on grants provided to researchers; UC Riverside has excelled in this enterprise, as evidenced by the award tally of $66 million during a five month period in 2011. The promotion of interdisciplinary centers, professional schools and the optimization of research activity were the following goals. Among the notable developments were the approval of a graduate school of public policy and appointment of a task force to establish an Honors College. The chancellor also provided an update on the UC Riverside School of Medicine. University administrators will be re-applying for the school’s accreditation in April of this year and will be provided with their accreditation decision in the fall. If the school were to earn accreditation, the intended opening of the medical school would be fall of 2013. The goal of improving access and diversity were summarized by efforts to create new degree programs (master degrees in professional accountancy, bioengineering and computer engineering) and continuing to promote the needs of a diverse study body. Although no specific steps were outlined for the latter part, the presentation noted that National Science Foundation grants in support of women and federal grants for Hispanic Serving Institutions were some recent accomplishments. Lastly, the goal of community engagement was expressed by the university’s long-term goal of earning a Community Engagement Elective classification by the Carnegie Foundation. After his presentation, the chancellor opened up the floor for discussion. John Gust, a graduate student in anthropology and unit chair for the teaching assistant union on campus, brought up several points ranging from the police presence on campus during the regent’s meeting Jan. 19, pay raises for senior managers to the potential for new classes to be offered if the medical school were to not be opened. The chancellor called upon Dr. Joseph Childers, dean of the graduate division, to present research and updates on graduate student mentoring programs and Jadie Lee, director of labor relations, to discuss a system-wide phased retirement program. In closing, the chancellor elaborated on the role of technology in the classroom and the benefits of Assembly Speaker Perez’s “Middle Class Scholarship” for students.